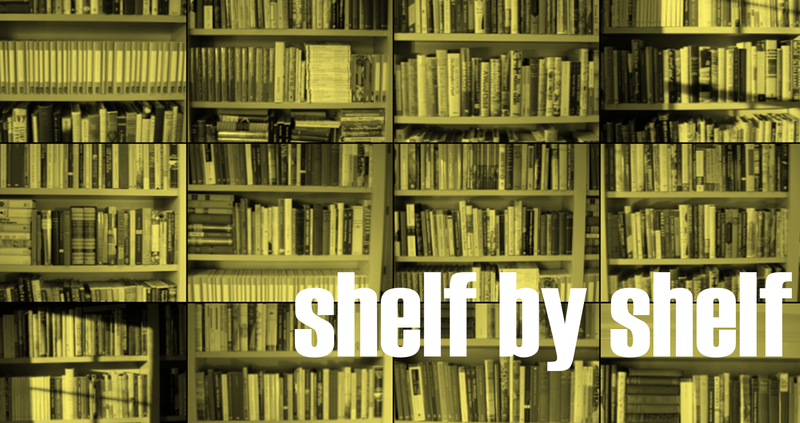 One of the things I am loving about doing this Shelf by Shelf series is the fact that I am getting so many interesting comments from all of you. Makes me want to have all of you over for some book gazing. One comment Liz Dexter made about liking Brookner in her 20s but being less interested in her novels in middle age made me chuckle. It also made me ponder how much my shelves may change in the coming years. I know 10 years ago I wouldn’t have contemplated getting rid of any of my Atwoods, but here I am with the collection whittled down to those I liked the most. My Brookner affair on the other hand has gotten stronger over the past 20 years so I feel they probably have staying power. One of the other things I love about Shelf by Shelf is that I am getting to know my books much better than I would by simply staring at them. Especially with so many recent additions over the past year. It’s also made me realize how homogeneous my top row is. With this installment I finish the top row of my shelves and I must admit I’m a bit glad. Lower shelves seem much more diverse, not just in the number of authors represented but also in points of view. This top row has been decidedly well-heeled. Make sure you click it. Plenty of room to zoom. SHELF FIVE: 31 books, 18 unread, 13 read, 42% completed. I didn’t read Burnett’s The Secret Garden until I was in my late 20s/early 30s. I was at a bookstore in Cambridge, England and saw both it and Heidi (not by Burnett) on a table of inexpensive reissues and thought it might be time to read those two classics. I ended up loving both of them and made The Shuttle and The Making of a Marchioness two of my first Persephone purchases. I loved the latter more than the former and decided to buy her work whenever I stumbled across it. Of this stack of old, somewhat crumbly Burnett’s the only one I have read is T. Tembarom. I enjoyed the rags to riches story (and another one where an American makes it big in the British aristocracy) but I thought it could have used some editing for sure. Not sure what the rest of these hold in store for me. Until I find out, I’ve stopped buying her books. There are a lot of them and they are pretty easy to find. Nowhere in this 1897 edition does it mention who wrote it so I put it in the Bs when I was organizing shelves. I see now, after Googling it, that it was written by Thomas Hughes. Doesn’t belong in the Bs at all. I read this novel for a class for my first Master’s degree. It was part of a three semester class on the American Experience and the professor’s background was in literature so all we read for three semesters was fiction. Written in 1799 it is one of the earlier examples of an American novel. When I read this I didn’t have the same appreciation I have now for older lit so I am very interested to see what I think of it now. This really is the ye olde shelf. This one written in 1796. Published in 1949, Rittenhouse Square in Philadelphia. Kirkus Reviews said: “Feminine fiction, with more animation than most, by an experienced editor and practitioner in the field.” Sounds right up my alley. Railway and trolley. How could I pass up these novellas? Loved Andorra when I stumbled across it a few years ago. Found the used book somewhere for free I think. Now I buy whatever I can find by Cameron. Coral Glynn came second and I liked it but not as much as Andorra. It wasn’t until a few months ago when reading The Weekend that Cameron is gay and sometimes writes gay novels. I absolutely loved Persephone’s reissue of Canfield’s The Home-Maker. I had trouble with The Deepening Stream and set it aside after about 60 pages. Now I am not sure how I feel about her in general. I’m guessing I will like her, but more evidence that I shouldn’t start wildly collecting authors until I am more sure of my overall fondness for them. A brilliant book of fiction / non-fiction and the only Capote I’ve liked. Carr, John Dickson – Fire, burn! Carey writes some odd and delightful fiction. Don’t get him confused with Peter Carey. I really need to reread these, especially OM. Re the Canfields, I think I was disappointed in The Brimming Cup. And seeing The Three Miss Kings reminds me that I am supposed to be borrowing that from Ali “when the TBR gets a bit smaller”. Right. Another great selection – the Carswell is very good. I have not read any of these except In Cold Blood which I also thought was very good. I see a nice little green Penguin on that shelf. I have a couple of Carr’s on my shelf but not read them. Just not enough time to read everything I want. Am enjoying your shelves very much. I love other people’s books. I am such a sticky beak. As you may know I am not much of a fan of mystery/crime/detective fiction but I find that the old green Penguins are worth a chance for me if for no other reason than they have what is now a vintage setting which can get me over more than a few humps. I’ve hardly heard of any of these except for the Brookners, Burnett and Canfield-Fisher. (I loved The Home-Maker also). I know what you mean about collecting authors, I started buying all the books by Elizabeth von Arnim I could find, including an old edition of Mr. Skeffington which was a little pricey and I couldn’t get into it at all. I might give it another go later. But I do have a copy of The Shuttle which I think is from the early 1900s and I’m almost afraid to read it — though I’m sure it wasn’t very expensive, probably under $10. With praise like that I’ll have to check out Carr’s A Month in the Country. I have both The Shuttle and the Making of a Marchioness on my Kindle to be read. I have very fond memories of reading A Month In The Country when I was travelling through the UK many years ago. It’s a lovely novel, and one that I would happily read again. Thomas, have you read any other books by Carr? I have not read anything else by Carr. I must admit, I don’t think I have even come across anything else by him. Love the shelves articles…..but u know we would :) Agree w/ In the Country and In Cold Blood..and laughed at Heidi…cause i just finished Peter Pan (strange but wonderful….bks for kids were totally different in the olden days i guess) and Wind in the Willows last yr which was my fav of yr (ok…never just one fav)..never read any kids bks as kid…this could be a happenin’ thing..ok will chk out Heidi since u’re given such fab suggestions that work for me in past…Happy B’day Helene! Have you read “Understood Betsy” by Canfield-Fisher? It’s a terribly underappreciated gem of Children’s Literature. A must, really, I’d give Heidi up rather! I couldn’t deal with her adult stuff either, but UB deserves to live forever. Every helicopter parent in the US should be forced to read it. I’m not sure I could read Heidi again, but I did love it when I read it in my 30s. It just seemed to be about lots of glasses of fresh milk and cheese. Hortense Calisher = what a great name = had never heard of her (until now). One of the things I am really liking about this bookshelf project of yours is this very thing – encountering authors who are completely new to me, even though I’ve worked with books for over 25 years…! Hortense was a name my 7th grade Algebra teacher used in examples. I had never heard the name before and thought it was hilarious (and made up).